Israel has been a prime destination to spiritual faculties. They believe that this place is holy having traced their origins in this region as documented in their Holy books. Places like Jerusalem, The Red Sea and the Sea of Galilee are very popular with Christian pilgrims specifically. But besides religious groups, other major groups of people travel to Israel too. Groups such as archeologists, historians, businesspeople have been known to book flights to Israel to either carry out research or to enjoy time off from their busy working schedules to enjoy a vacation. There is so much that can be done in this country but below are the best to visit and should be at the top of your list when you decide to visit this beautiful country. 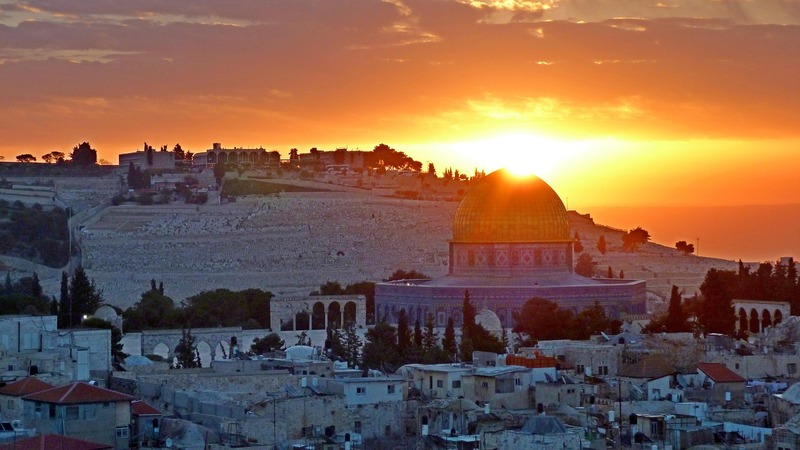 Jerusalem is the capital city of Israel and holds a significant variety of purposes that would cater to almost everyone coming into the country. It is one of the oldest cities in the world and is considered Holy to the three Abrahamic Religions; Judaism, Christianity, and Islam. For this sole purpose, the city receives a large mass of people visiting for religious pilgrims but also for archeologists, biologists and historians visit for the sole purpose of furthering their research projects. For the tourists visiting they have so much at their disposal since the city has arranged guided trips around the town with so much to absorb. Prime places to be cited are the Western Wall, Mount of the Olives, or merely take a walk down the streets of Jerusalem to soak up the rich culture. The dead sea is the lowest point on earth; a salt-rich lake that is surrounded by beautiful desert beaches, mineral spas, and oases. Regardless of whatever purpose you traveled into Israel, an afternoon at one of the above mentioned will indeed tickle your fancy. During your trip to The Dead Sea, you are sure to enjoy the beautiful sunrise while perched on the majestic top of the mountain top fortress of Masada, take a float in the dead sea or visit the Ein Gedi nature reserve. You might also fancy a salt caving trip, take a hike in the dead sea area, explore the caves at Qumran or try stargazing in the hot springs of the dead sea. Whatever you decide to embark on, you are assured of a fantastic experience. Tel Aviv-Yafo is Israel’s largest metropolitan area. It is located on the country’s Mediterranean coastline, and it is the economic and technological center of the country. The city is known for its accessible beaches and vibrant nightlife ranging from renowned restaurants to state of the art lounges, to open-air cafes. The town hosts the Tel-Aviv museum of art which houses an international collection of modern and contemporary art plus a breathtaking sculpture garden. Other activities you can enjoy in this city are exploring the old port and the ancient town, visiting the zoo, an amusement park or spend an afternoon at the Jaffa’s flea market for a little shopping of clothing, home goods, and gifts.